The 1207 comes in a Flesh Satin in American sizes 4 through 10, medium and wide widths. 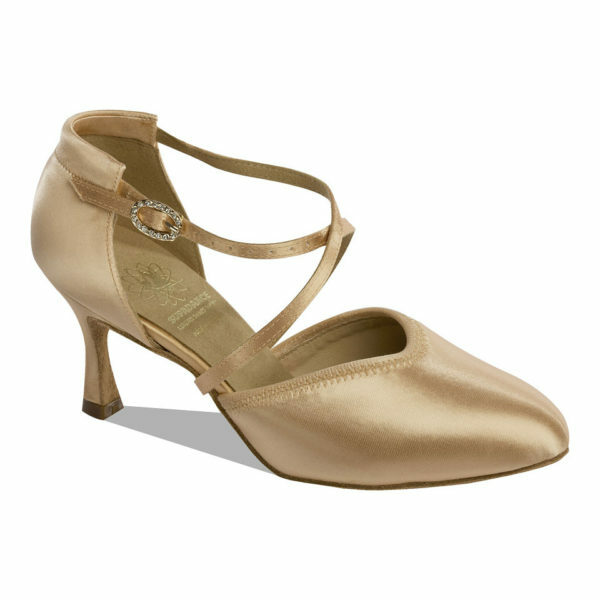 It is a closed toe smooth shoe with an elasticized front and high loop back for extra comfort. The closure is an Oval Diamond Quick Release Hook. The elastic enables a snugger fit and less gaping. NOTE: English to American Sizing is approximate. The information is shown as a guide only and not a guarantee. Actual fitting may vary.